I enjoy taking pictures as much as fishing, Nah that’s a lie but I really do enjoy recording my days on still and running water with photographs and drivel for the blog. I have owned several waterproof cameras over the years. Some of you may have read this far and think I just use my phone and you know it’s hard to argue with that. Camera phones have become so advanced in such a short period that it is a game changer. I myself have an iPhone 8+ and the camera is just amazing. Still though I would not be best pleased if I dropped it on the river bank or worse in the river. 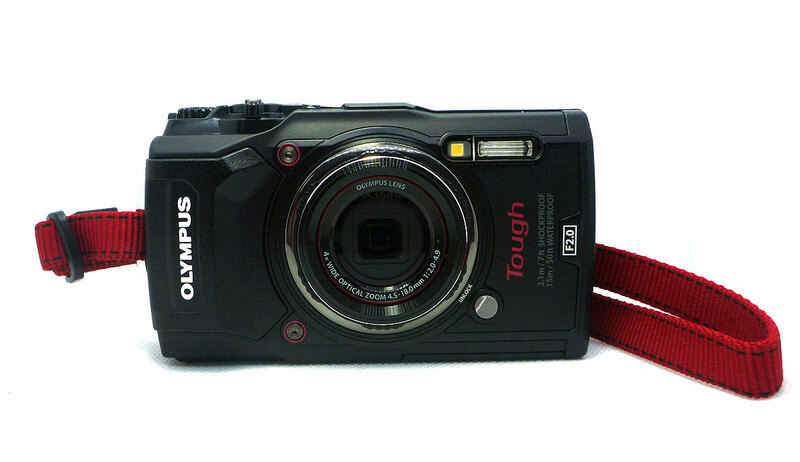 So tough cameras are tailor made for anglers or other outdoor pursuits. The early ones from around ten years ago came with a massive compromise, you got a robust waterproof camera but the images they provided were not great. I could live with that mostly and each time I have upgraded my ‘fishing camera’ I have always been really pleased. The last model I used was a Lumix DMC-FT4. It took great still images the video was a bit ropey but all in all it was a great bit of equipment and served me well for five years. It had taken a fair old beating in this time so a replacement was needed. Having looked around at other models and having read many reviews I opted for the Olympus TG-5. 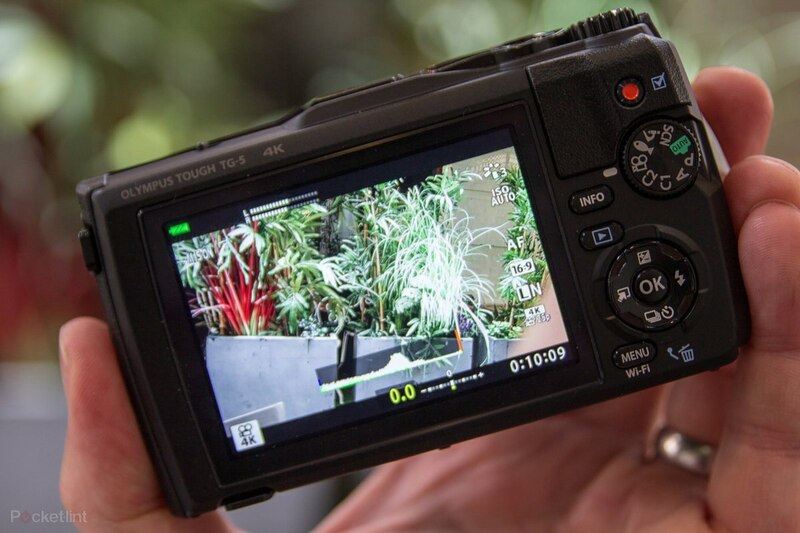 A couple of the features that attracted me to this model were its ability to shoot in RAW format, shoot video in 4K and transfer images over WI-FI. There were other things that were nice to haves but those were the big ones for me anyway. I am not going to get into too much technical jargon because quite frankly there are other reviews out therethat can do that for you. What I want to drill down to is what is it like for a fisherman! The camera comes in two colours red or black, (I opted for the black one) you can if you wish purchase various optional extras (I did). One of the interesting one for us anglers is the polarised lens. Why would this be of any interest? Well, when you go fishing you (I assume) always wear a set of polarising sun glasses. Firstly, to protect your eyes and secondly to see into the water better. With the polarised lens fitted the camera can pick out much more detail from the river bed. Another great feature is the macro facility depicted on this camera with an image of a microscope. 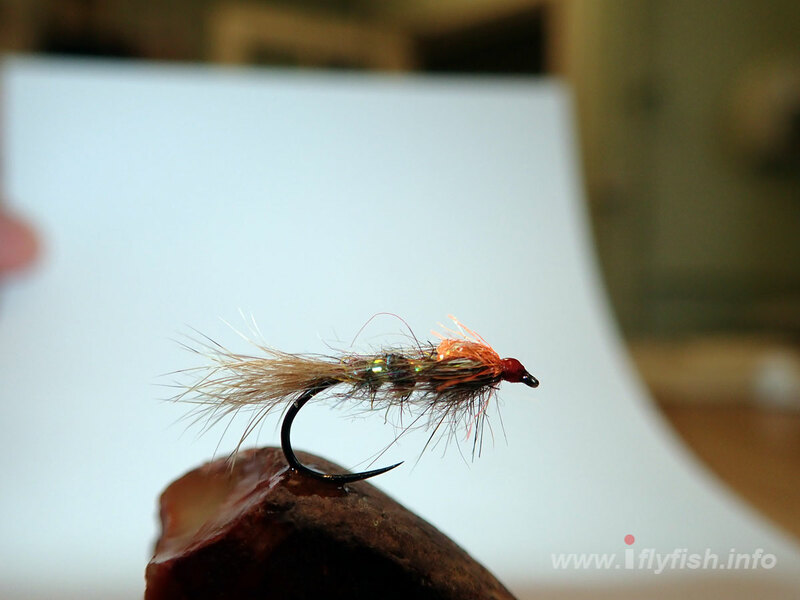 The macro has its limitations and I have used a picture of a fly to demonstrate this. The image is not completely sharp but using natural light in the first photo and a light tent in the second you get a pretty reasonable image. I really like the menu on this camera, it’s interesting that some reviews I have read complained that the menu was to complicated. I found it very easy to navigate around and get the settings I want quickly. 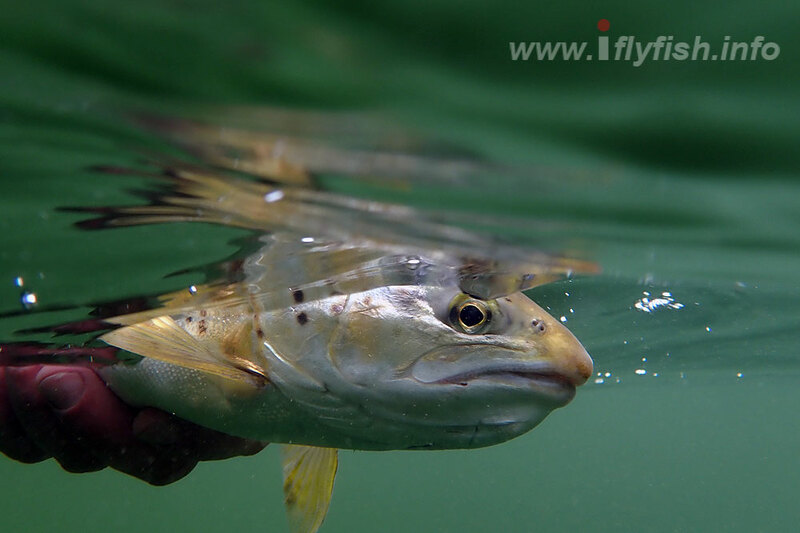 For taking images of fish I use the macro function to get good sharp close up detail. It has various artistic settings that if you have the patience to play with can produce some interesting results. 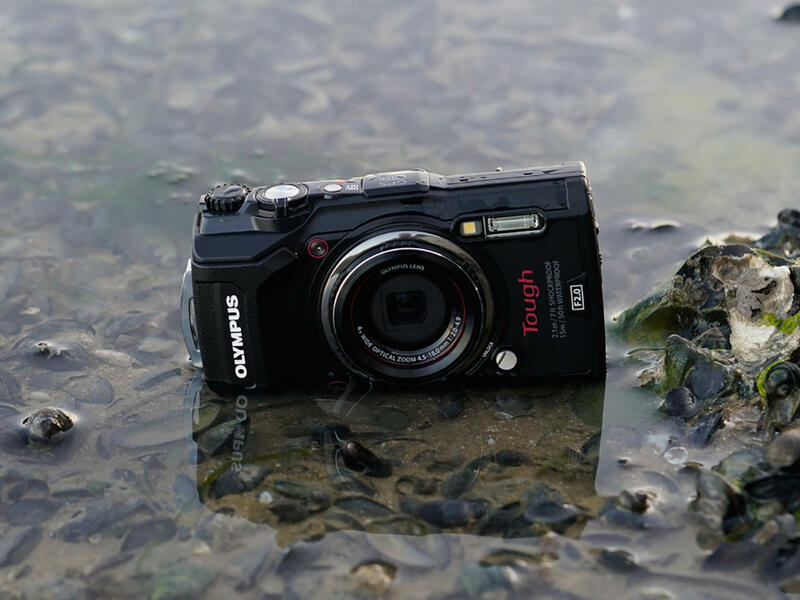 It has an underwater macro setting for taking pictures of fish which produces impressive results, providing you have clear water of course. A word to the wise though do not try and take images underwater with the filters attached, it’s a mistake you will only make once as it takes an age to clean the filters afterwards, they are not watertight and you have to remove and clean both sides. "A word to the wise though do not try and take images underwater with the filters attached"
The video is really the best quality you could hope for from a small camera it has three settings Standard, 4K and High Speed. I have taken an example videos below in 4K Slo mo for you to gauge the quality. For my needs it is perfect I don’t want to shoot the next Disney Classic just the odd bit of footage of fish going back or my buddies falling in the river, you know the score! 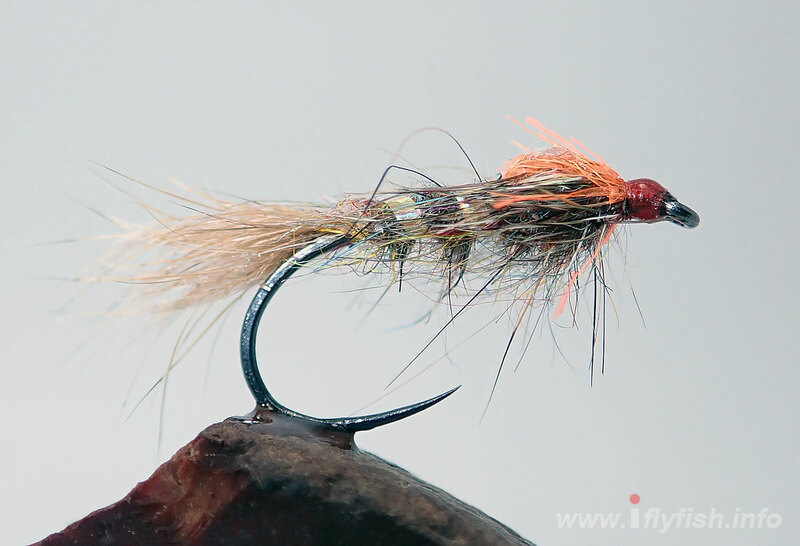 I have yet to try it for making a fly-tying video but may give this a go down the line. In summary this is a great camera I am really pleased with the practicality and functionality of the camera. If it gives me five years hard time as the Lumix did then it would be worth the not insignificant price tag of £379. I have only been using the camera since Christmas and have not been out a great deal but what I have seen so far is really promising. I will do a follow up to this review in a year just to see if my views have changed. 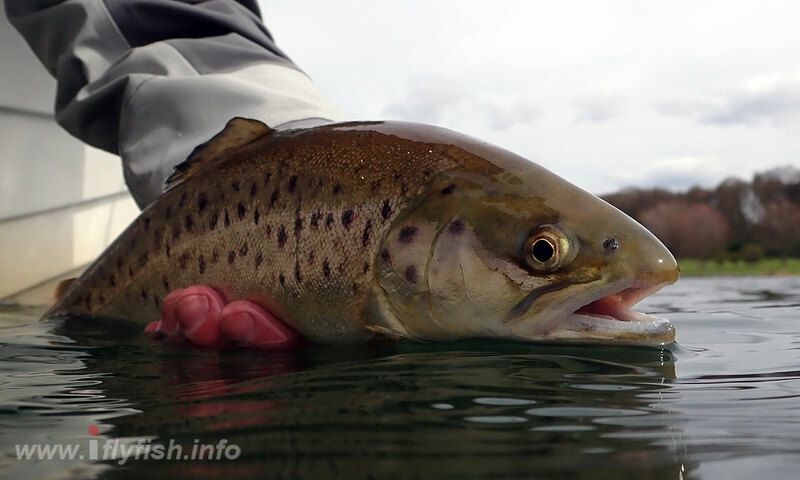 Until then if you are in the market for a fishing camera this is worth giving some thought. I would also heartily recommend the Lumix DMC-FT4 which gave me great service over five years of hard use in and out of water.